How many times has a colleague or fellow entrepreneur reviewed a project you’re developing, contributed to your brainstorming sessions, or even provided their own blood, sweat, and tears to help you grow a business or product? How often have they expended time and effort to your dream and asked for nothing in return? Yes, you’ve always expressed your sincere gratitude and thanks from the bottom of your heart. More than likely, you really want to give them something tangible as a gesture of thanks. Now you can! IdeaGist has developed an ideal way to show your gratitude for the support others gave you while bringing your innovative ideas to life. We call it Gist Points. The first step is to join IdeaGist’s global virtual incubator community and take advantage of the wide range of tools, resources, expert guidance, and encouragement we make available to help you transform your idea to an initial product or business prototype. The process is fraught with challenges, the journey is difficult, and typically during the crucial idea-to-initial product stage, entrepreneurs receive little to no support or assistance. For those who make it through this formidable phase with a developed prototype or working product, attracting investors, getting hosted by an incubator, or being accepted in an accelerator program becomes easier. But before any of these advanced steps are taken, you must work on your idea within the confines of the time frame and resources available, and you’ll need to generate the idea to a level at which you can show results. Getting help from others is key to developing an idea into a prototype, and encouraging collaboration and providing a supportive environment is what IdeaGist is all about. In turn, you can reciprocate by offering other innovators and entrepreneurs your expertise, insight, and guidance. It’s a mutually-beneficial approach to startup survival. You can show your appreciation to members who provide support, advice, and expertise to you when you need it by awarding them Gist Points. In return, by helping a fellow entrepreneur with their project development efforts, he or she can show their appreciation by awarding you Gist Points. It’s a win-win, any way you look at it. Gist Points provide an easy, hassle-free way to say thank you, and since Gist Points can be used on IdeaGist for many services, you can use them to purchase more services and options above and beyond those your membership provides. You also have the option of purchasing Gist Points when you need them. Perform basic actions to get rewarded while doing things that will help you on the platform. Click on “Rewards” from the menu and select different rewards. Points are automatically deposited for most rewards. Respond to Feedback requests (these are quick polls by idea owners who may ask for your opinion on their idea. For example, they may ask you to critique their pitch statement, or they may ask for your opinion on whether their product or service is successfully resolving the problem it’s intended to solve. Click on “Help Wanted” and select “Feedback” from the menu. Provide expert services to others. Simply set your consulting profile by clicking on “Account Settings” and select “Expert Consulting”. You can set your hourly rates in USD and in Gist Points. Please make sure that your user profile is complete to help people understand your background and expertise. Become a team member in an idea in return for points. To find opportunities, click on “Help Wanted” and select “Co-Founders” from the menu. Of course, you can always purchase Gist Points when you need them. IdeaGist has a simple philosophy, help others to get help. 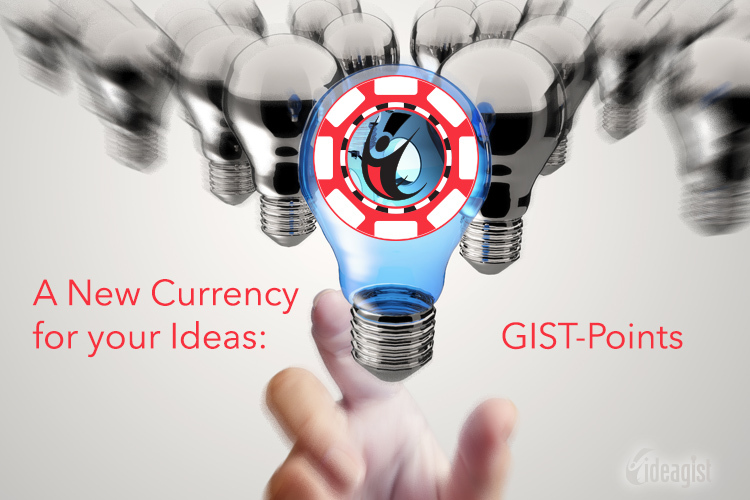 Every premium feature offered by the IdeaGist platform can be purchased in Gist Points. While we may offer discounts from time to time, the following table will help you understand how you can use premium features using Gist Points and also use them to get help from others. Getting Feedback is important for any innovator or entrepreneur. IdeaGist offers four types of feedback that can be added by clicking on “Help Wanted” and clicking on “Add Listing”. When you do the listing, you can offer Gist Points to others for providing feedback as an incentive. There is a basic listing feature that will require 100 Gist Points. Finding Co-Founders on IdeaGist is simple. Click on “Help Wanted” and select “Add Listing” to add a Co-Founder wanted entry. Please make sure that you provide enough information for people to be able to decide if they would like to work with you. Listing price is 100 Gist Points. 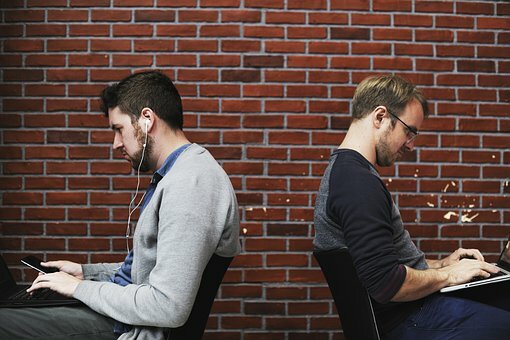 Finding a mentor is a similar process to finding a Co-Founder. You can add the listing for 100 Gist Points. Sending messages to people you already know is free on IdeaGist but if you would like to send a message to someone you don’t know, you can send them a Gist Message using 10 Gist Points. Please follow the basic code of conduct and do not solicit people for investing in your idea. IdeaGist Virtual Incubation is a 60 steps process that helps first-time entrepreneurs in developing their ideas from concept to launch. Initial steps are free for all users but as you progress, you will be able to unlock premium steps using Gist Points. They range from 50 Gist Points to 200 per step or you can unlock the whole process by using 4,999 Gist Points. 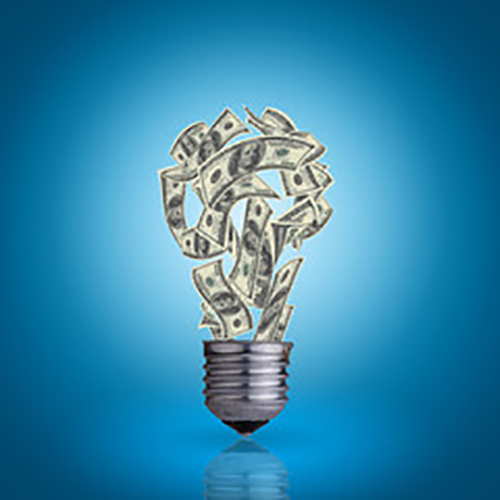 Crowdfunding and Funding campaigns could be available in some communities. Every community has different cost structures, depending on the local laws and community objectives. Requesting a mentor in a community is a free service. Every community has different rules around who can request a mentor or when a mentor can be requested. We suggest contacting your community admin for more details. Featuring your content, like Idea, Profile, Help Wanted, etc., can be done in most communities. In the Global Community, featuring content ranges from 10 Gist Points per day to 100 Gist Points per day, depending on where you are featuring your content. If you hover your mouse on the red action button, you will see a larger menu which will include “Make Featured”. Selecting this option will allow you to pick the ad placement and duration. While you can acquire Gist-Points at no cost, you may find yourself needing more points than you have. Gist-Points packages are sold on the IdeaGist online store. Pricing and packages may change from time to time. Sometimes we run different promotions for members to get these points at a reduced price. Please click here to see current Gist Points packages. To celebrate 50,000 collaborators on IdeaGist platform, we are currently offering a 50% discount on our 5,000 points package. These points will never expire and you can use them for all the premium features. Our regular price for 5,000 points is USD 500 but for a limited time, you get this BIG discount. You can buy as many packages as many you like at USD 250 per package.